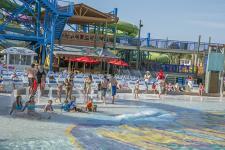 Daytona Lagoon is proud to be the area’s premier water park and familyentertainment center. With over 12 water rides, a huge wave pool and various kiddie pools, fun in the sun for all ages comes easily here. Kick back and lounge along the lazy river, or challenge your family member to a sprint down the 4-lane racer slide. Explore Adventure Mountain, or double up on a two-person tube in Blackbeard’s Revenge. 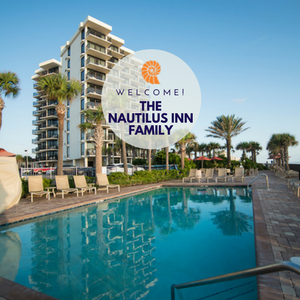 Your family will want to splish, splash and stay for hours! Water park admission rates vary seasonally, but you can count on these prices this spring: General: $29.99; Florida Resident: $26.99; Junior (between 32” and 48”): $21.99; Children under 32”: FREE. Being in Daytona Beach brings about an understandable desire to get behind the wheel and go racing. Daytona Lagoon’s year-round Grand Prix go-kart racing offers an easy way to embark on a super-speedy adventure! Enjoy single or double go-karts, and note that drivers must be a minimum of 54 inches tall to drive themselves. Go full throttle for fun — single rides start as low as $8.49 per person, and double rider “Riptide Racer” rides are $10.49 per kart. Craving a break from the bright sun? Head indoors to the Dry Park and enjoy hours of entertainment at the Mega Arcade. Play classic arcade favorites like Skee-Ball and air hockey, newer games like Star Wars Battle Pod, and games involving sports, shooting and dancing. Or, channel your inner James Bond with a round of laser tag, scale the rock wall, or explore the ropes course-inspired Sky Maze. If your vacation crew is ready for a more mellow activity, opt for a round of on-site mini-golf. And when everyone is ready to refuel, head to Gilligan’s Sport Pub! Book your Summer Getaway with our Special Offers and save on your stay! 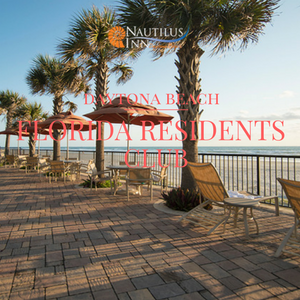 For more information, call (800) 245-0560 or view of latest Daytona Beach special offers! Make your reservation today!